Sometimes putting things into the simplest of terms is the most accurate way to capture the brilliance of a concept. 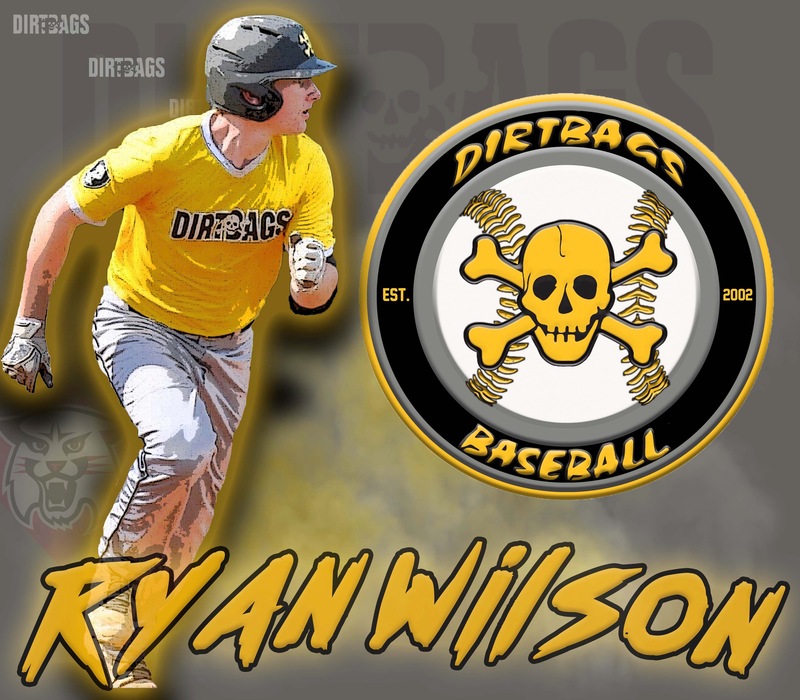 In a recent conversation with 2020 Dirtbag outfielder Ryan Wilson about what his expectations are for the upcoming season for the organization, he said, “Win.” Asked again with a hope that he may want to expound on this and give some details, he responded similarly with, “Just win.” While that may seem lacking in depth from a young man that is anything but lacking when it comes to his ability to grasp ideas, concepts, or even priorities. The fact is, Ryan is just very direct and is quite capable of reducing the complex into executable targets. All of this makes his commitment to the Davidson Wildcats a logical choice not just because of the reputation of the school as a top academic institution, but just as equally because of the connection he has made with head coach Rucker Taylor. The hitter sees his skills as an offensive player fitting in with the philosophies of the program. The opportunity for a shot to play was a selling point for Wilson who added that the energy of the staff was also a factor to convince him to commit. With the future set on his post-secondary playing career, the Durham Jordan junior did share some goals for himself and his high school team for 2019 and beyond. Having made the 3rd round in the playoffs last year, Wilson noted the squad felt like it could have been better. Thus the off-season has been all about working on those skills needed by him to help the team achieve its goals. For Ryan it has been a focus on speed, which has led him to engage in a sprint work plan. Another example of simplifying the difficult – get faster by running fast. One reason Ryan has stayed with the Dirtbags in his development has been that positive culture. He said that winning is fun and the coaches are key in making sure players are doing the “right thing.” One right thing was to attend the Impact Baseball Camp in Myrtle Beach in the fall of 2018 that led him to get a visit to Davidson. These types of connecting forces along with the fact that the Dirtbags, as Wilson puts it, “don’t recruit guys from the outside” but show loyalty to the players in the program have made the decision a logical one for him. As his career continues from scholastic and then to collegiate, expect it to be much like his ability to hit – of which Trey Daly made the comment, “not a lot of swing and miss in that swing.” He rarely misses when it comes to making the complex look simple and the difficult look easy.